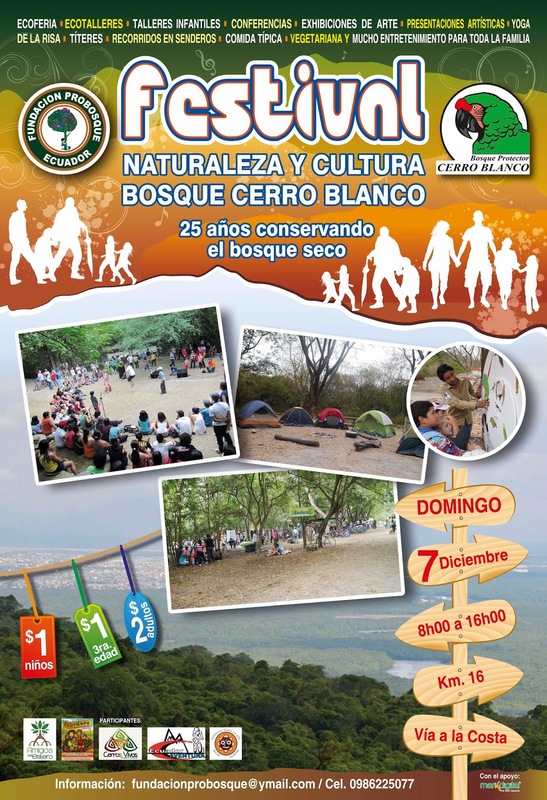 The Pro-Forest Foundation which administrates the Cerro Blanco Protected Forest celebrated its 25th birthday with the participation of 985 visitors on Sunday, December 7th. 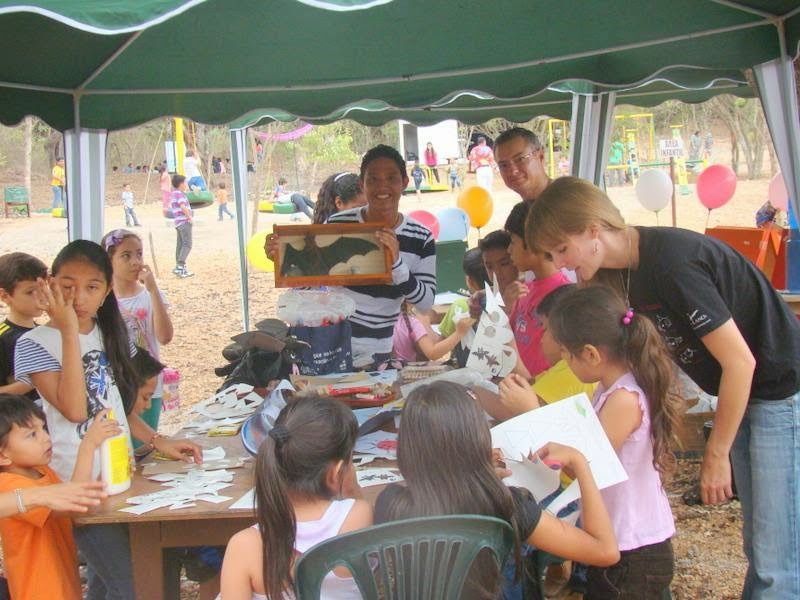 The celebration revolved around the event ¨Festival of Nature and Culture¨ which included an eco fair with 25 stands promoting ecological projects and products with the participation of the Ecuadorian Ministry of the Environment, Environmental Unit of the Ecuadorian National Police, sister ecological groups such as Cerros Vivos and Amigos del Estero as well as vegetarian food and workshops on meditation among others. During the day, a series of activities were carried out including a special event to commemorate Cerro Blanco´s anniversary led by Eric Horstman, Pro-Forest Foundation Executive Director as well as Camila Morales delegate of the Municipality of Guayaquil´s Tourism Department and Mr. Andres Aspiazu representing the family of one of Cerro Blanco´s founders Eduardo Aspiazu X, former President of the Guayaquil chapter of Fundacion Natura, which along with La Cemento Nacional (now Holcim Ecuador) worked to create the Cerro Blanco Protected Forest. Andres Aspiazu led the participants in a toast to Cerro Blanco and happy birthday sung with birthday cake distributed to the participants. 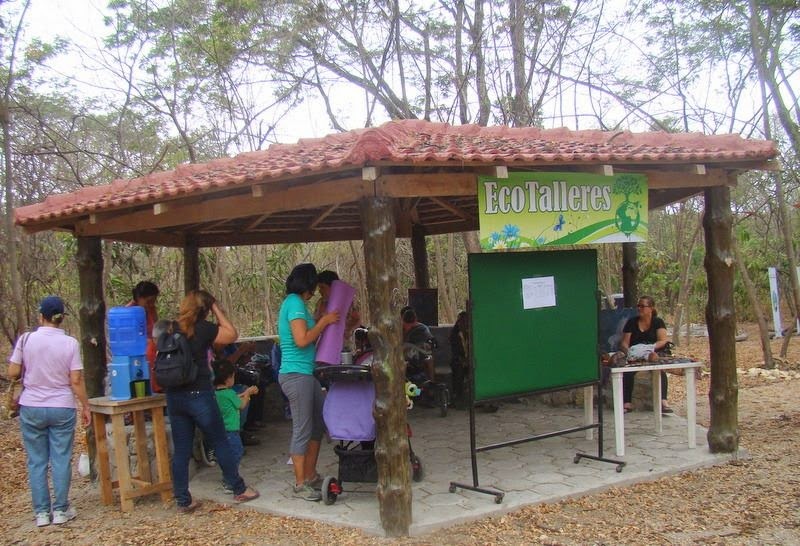 Workshops on different themes such as recycling and composting were carried out as well as special activities for children including games and art about the conservation of birds and bats among other topics. Guest speakers gave presentations on the dry tropical forests and the birds of the Tumbesian Bioregion. Cerro Blanco´s dedicated group of guides led visitors on walks in the forest throughout the day. Artistic presentations including a puppet show and music were very well received by visitors as well as yoga and Indian traditional dancing. The event also marks the official inauguration of Cerro Blanco´s new installations including camping and picnic area, trails and interpretative signboards.